A police officer said they had inputs about a possible terrorist attack on Tuesday and the information was shared with all security agencies. 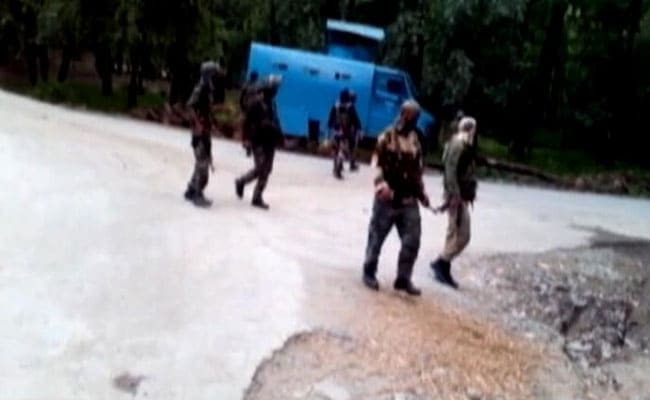 Terrorists carried out a series of attacks in the Kashmir valley on Tuesday evening, injuring 13 security personnel in a span of just four hours. In the last 24 hours, there have been five attacks in south Kashmir and one in north Kashmir. In Tral in south Kashmir's Pulwama district, terrorists threw a grenade at a Central Reserve Police Force or CRPF camp, injuring nine jawans in the evening. 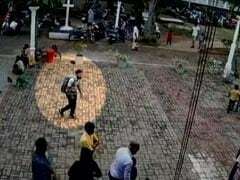 The injured jawans - troops of the 180th battalion of the CRPF - were shifted to a nearby hospital. Officials had cordoned off the area to search for the terrorists. In the second attack of the evening, terrorists fired at the security personnel posted at the residence of a retired high court judge in Anantnag district, in which two policemen were injured. Officials said the terrorists snatched four service rifles from the policemen posted at the house. The terrorists also tried to attack another CRPF camp in Pulwama, but the grenade they threw exploded mid-air, resulting in no injuries. In the fourth attack of the evening, the terrorists also threw a grenade at a police station in Pulwama, in which two cops were injured. On Monday evening, two soldiers were injured when terrorists attacked a CRPF camp in Pulwama. A senior police officer said they had inputs about a possible terrorist attack on Tuesday and the information was shared with all security agencies. Last week, a civilian was injured after terrorists attacked a police convoy on the Srinagar-Jammu National Highway, near Kashmir's Qazigund area. Terrorists fired at least 10 rounds of bullets, one of which hit the civilian.